The Naumes Law Group is devoted to representing individuals who have suffered serious personal injury. Our lawyers have worked in small firms and some of the largest plaintiff firms in the country. 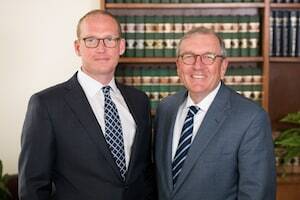 We created Naumes Law to give our clients the individualized, responsive representation found at small firms and the same high quality litigation experience of large firms. At Naumes Law, we understand the impact a serious injury can have on an individual and his family. We provide our clients with a legal strategy that is specifically tailored to meet their needs. For over 35 years, Attorney Bob Naumes has personally handled all aspects of his client’s case from intake to trial. Most of his clients are referred to him by former clients he successfully represented. He has always believed that every client is different and deserves special treatment, not the assembly line attitude of some mass tort firms. If you are looking for a law firm that will provide you and your family with personalized legal representation, please contact the Naumes Law Group. There is no charge for an initial consultation and any cases we accept are handled on a contingent fee arrangement. It is important that you understand your rights following an accident and act quickly to protect them. All claims have time limits which can result in the loss of your legal remedy.